Summer will be here soon, which means that it is time for SUMMER RETREAT! It will be held on the 27th to 29th November 2015 at Hwa Tsang Monastery. This is an excellent opportunity for you to experience the monastic way of living as well as to learn a little more about yourself and Buddhism. There will be a host of Dhamma enriching activities, such as meditation, chanting, Dhamma Talks, Dhamma discussions and many more. Delicious vegetarian food is provided too! The only cost to this event is the transport fee to the monastery, as Hwa Tsang Monastery is providing accommodation and food for free. Hence, feel free to donate to the Monastery. Places are limited (35 places only!) and are given on a first come first serve basis. However, priority may be given to UNIBUDS members if there are insufficient places. Secure your place now! Please submit your registration form to sr.unibuds@gmail.com before Sunday 22nd of November. Registration form link can be downloaded by clicking here. Our upcoming meditation workshop will be on Vipassana Meditation. Vipassana means to "see clearly", to "see things as they are". Through this practice, we will be able to improve our awareness and attention by focusing onto the deep interconnection between mind and body, tuning into the sensations that we feel in our body and the reactions in our mind. This meditation workshop is great for someone who wishes to deepen their meditation practice or anyone who is new to meditation. The workshop will include an introduction to Vipassana meditation, guided sessions and a Q&A session. Kindly RSVP at meditation.unibuds@gmail.com so we can confirm the number of attendees and accommodate all. Grahame has been involved in the Buddhist meditation practice for over 40 years. He began his study in England in 1969 before being ordained as a Buddhist monk for one year in BodhGaya, India in 1971. He took a primary role in the establishment of Vipassana meditation in the tradition of the Mahasi Sayadaw in Australia and co-founded the Blue Mountains Insight Meditation Centre outside Sydney. He also teaches in Illawarra, Sydney areas, Hawaii and in Sri Lanka. He has also helped pioneer a workshop format that enhances the transfer of mindfulness from the formal sitting practice into daily life. Grahame returns to Myanmar (Burma) regularly in order to deepen his own practice and study of the Dhamma. Grahame teaches a classical tradition of insight meditation with a relaxed and accessible style. Do you love to cook? Or would you like to learn how to cook? So come and take this chance to show off your cooking skills! 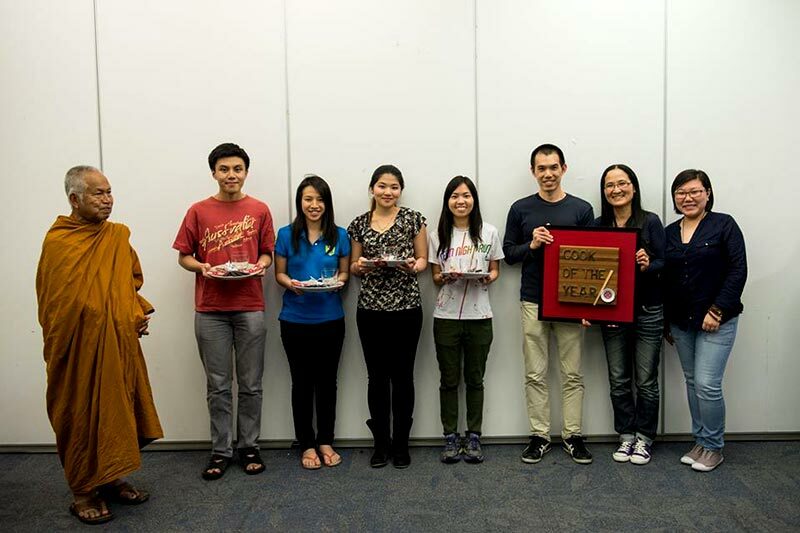 Cook of the Year is an annual cooking competition where participants come together to show off their cooking skills while incorporating the Dhamma. You will need to form a team of 4-5 members and each team shall prepare around 3-4 dishes. This is a good opportunity for you to meet new friends, have fun while preparing the dishes and learn the Dhamma in an interesting way! Do take note that the dishes would also have to be strictly vegetarian which means no egg, garlic, onion, leek, shallot or alcohol. For those who are interested but do not have a team, fear not, we will help you find a team. So if you are interested, please RSVP by 21st October 2015. Wat Pa Buddharangsee Buddhist Forest Monastery will be organizing Thai Ancestors Day this coming Sunday, 11th October 2015! So instead of sports, we will be organizing a one day trip to Wat Pa. Thai Ancestors Day, also known as Sart Thai Day, is a day to remember those who have passed with prayers, rituals and merit making on their behalf. It is a meaningful day to show our gratitude to our ancestors by paying a special respect on the day. 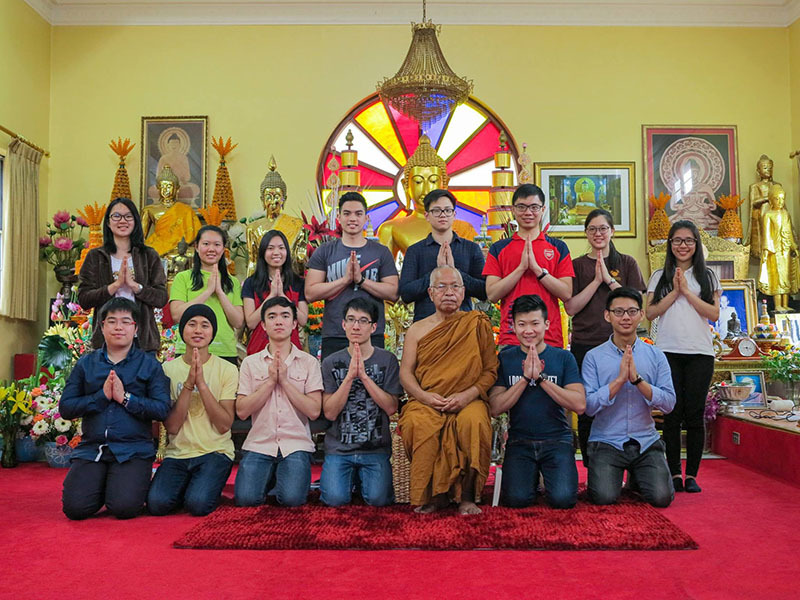 This is a good opportunity to visit one of UNIBUDS' Patron, Venerable Chao Khun Phra Thepsilaporn (Chao Kun Samai) at his monastery to help out in the event and to make merits as well. If you are interested to come, please RSVP by this Friday, 9th October 2015 so that I can arrange the necessary transport logistics. We leave Kingsford at 7am on "Bus Stand C Opposite UNSW Main Gate" or alternatively you can meet us at 7.15am on Central Station. Time passes by so quickly... It is now time to bid farewell and thank the 35th Executive Committee for making this year filled with joy and spiritual development. As we thank them for their dedication and hard work, it is also the time to pass the torch to the new faces of the Executive Committee. This means another important UNIBUDS event is coming up. Yes, you guessed it right! It's the 36th Annual General Meeting (AGM)! 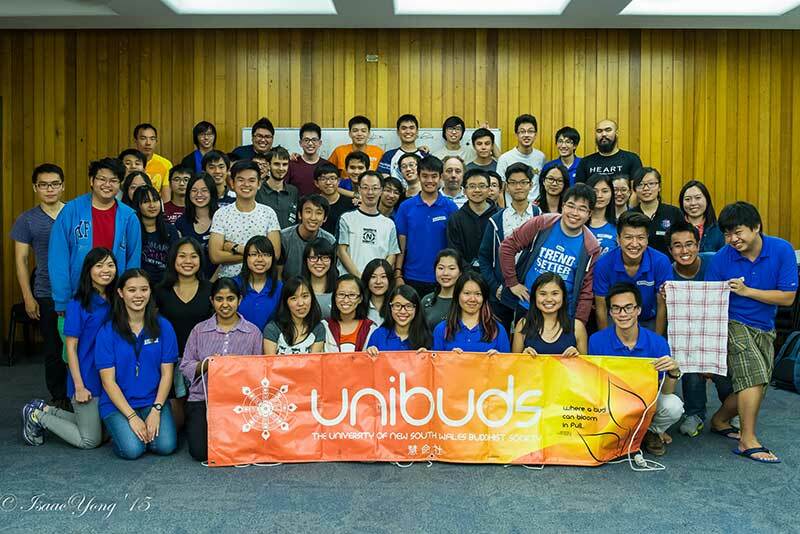 This event not only shows the great milestones UNIBUDS has achieved, it is also a chance for you to determine the future of this society! We hereby invite you to this meaningful event and show your support to UNIBUDS. You can run for a committee position and help steer UNIBUDS to greater heights or you can come and cheer on those who will be nominated. This is your chance to exercise your voting rights, so do come and join us! Information of each Executive Committee position and the nomination forms will be available outside UNIBUDS Library at 12 p.m. to 6 p.m. weekdays until Wednesday 30th September. If you wish to run for a key position i.e. 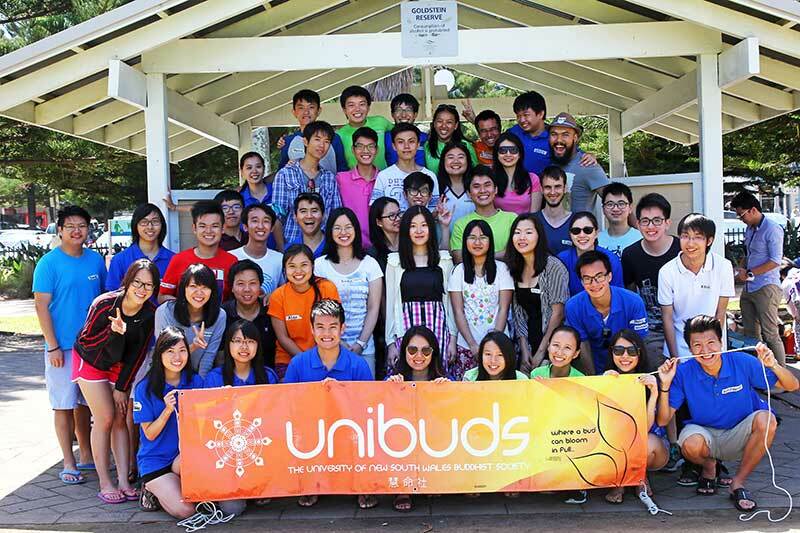 Top 5 positions of the Executive Committee, you must be an Ordinary member of UNIBUDS. he Lodge, Level 3 of Squarehouse, UNSW. Hope that everyone is coping well with studies after the hectic but fun Bodhi Nite period. Thanks to all of you, this year's Bodhi Nite has been yet another great success! We are sure that everyone is suffering from some form of Post Bodhi Nite Syndrome (PBNS), and would love to have a chance to meet up with all your fellow friends. Well, fret not, as we already have this all planned out for you. As such an achievement wouldn't be possible without all the impressive contribution from all of you, we would like to show our appreciation towards your help and celebrate this wonderful accomplishment by inviting you to join us at our Bodhi Nite Thank You Lunch, which will be held from 12.30 to 4pm on the 27th of September (Sunday). As the name suggests, we will be having free food and refreshments, as well as numerous fun activities, so please do come along!! Please kindly RSVP by Thursday 26th September 2015 so that we can cater sufficient food for everyone. FREE! You are welcomed to share a dish or two. The mid semester break is approaching! We will be celebrating Mid-Autumn Festival at our patron's monastery, Hwa Tsang Monastery. Mid-Autumn Festival is a harvest festival celebrated in Asia. The Mid-Autumn Festival celebration will be filled with fun performances and delicious mooncakes on the night! There will be a lantern-making session at 4.30pm. If you would like to help the children with lantern-making, feel free to come earlier. Otherwise, the performances will start at 7.00pm. *For those who are willing to carpool, feel free to contact me! Please RSVP with the time you are attending. Thank you very much! FREE! Just your bus and train fare! Everyday we interact with people (and other living beings). Surely, some people click so well with us, but some, well... not so much. Reflecting back on those clashing situations filled with turbulent negative emotions, have you ever felt that you were not able to handle them skilfully as you would have wished? Loving kindness meditation may be an answer for you! 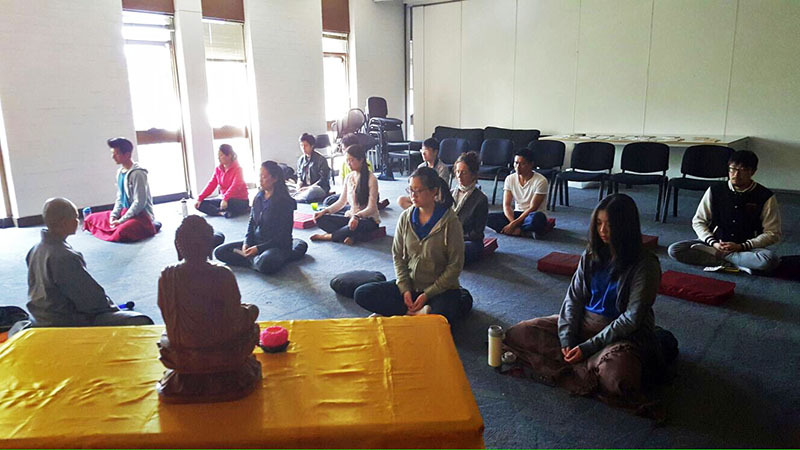 Come along to the meditation workshop on loving kindness meditation guided by UNSW Buddhist chaplain, Venerable Neng Rong, and learn how to cultivate a sweet and open mind! Please kindly RSVP as light refreshments will be provided at the end of the workshop. To ensure that we can accommodate all attendees, please kindly RSVP by contacting our Meditation Coordinator. Thank you! 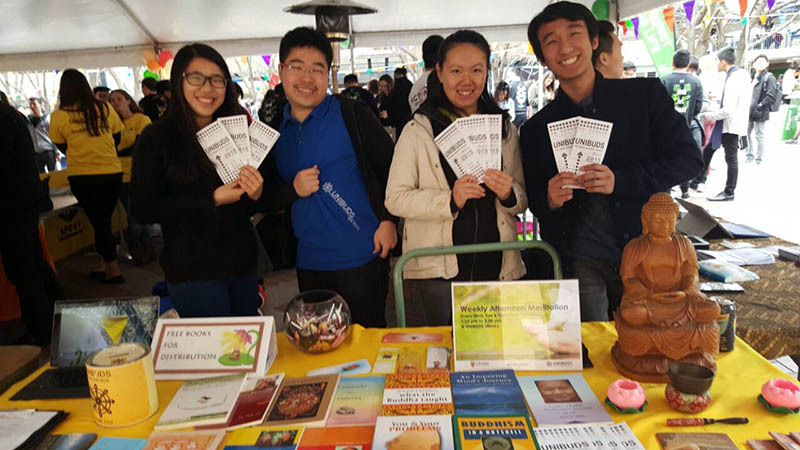 Come enjoy a dazzling night with UNIBUDS as we celebrate UNIBUDS' 35th birthday through a series of performances that includes acting, singing, dancing and multimedia presentations that show and present the teachings of the Buddha. If you are interested in exploring the theme of Spiritual Companions, who they are, what qualities do they have and how can we be a spiritual companion to others and self, you can purchase tickets from us to enjoy a night filled with interesting performances. In order to make Bodhi Nite happen, we need lots of help from everyone. If you would like to be part of the night, make new friends, involve yourself with extracurricular activities or to add colour to your Uni life then feel free to join us on this wonderful journey! There are 12 different departments for you to choose from so you should be able to find one that interests you. We hope to hear from you soon! Semester Two is just around the corner! Hope everyone had a wonderful winter break! Wondering what you can do on a Saturday night? 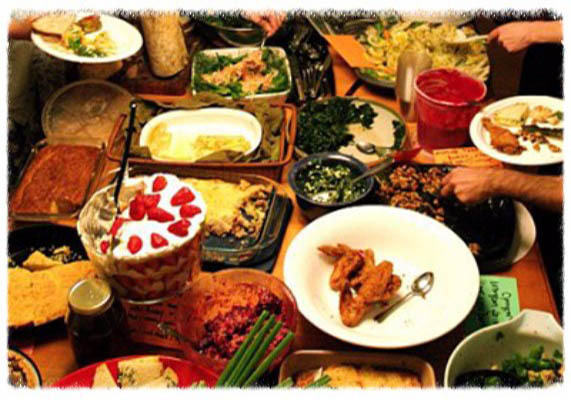 Come join us for our next event - POTLUCK! It will be a night filled with good companions, fun games and delicious food!! Feel free to bring a dish or some drinks to share with your friends too! Otherwise, come along with an empty stomach! 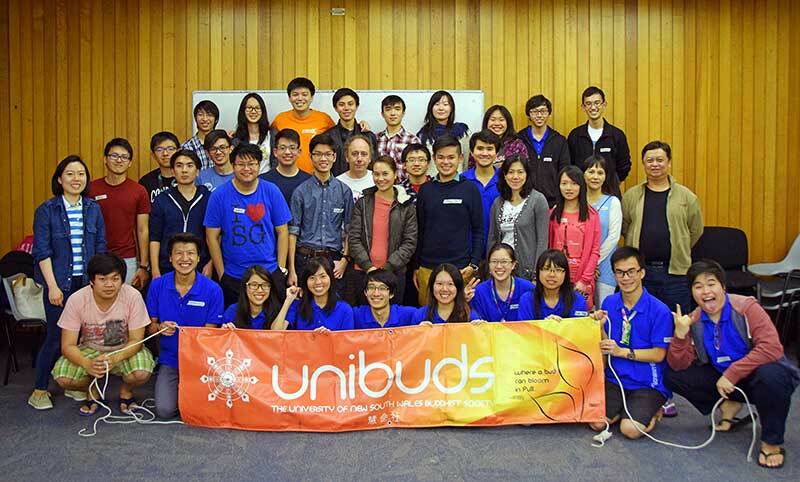 We will also introduce UNIBUDS' biggest event - Bodhi Nite! So come along to find out more about Bodhi Nite! Hope you will be there to enjoy food and meet friends! FREE! Just your empty tummy! Welcome back to a fresh start of the university year! 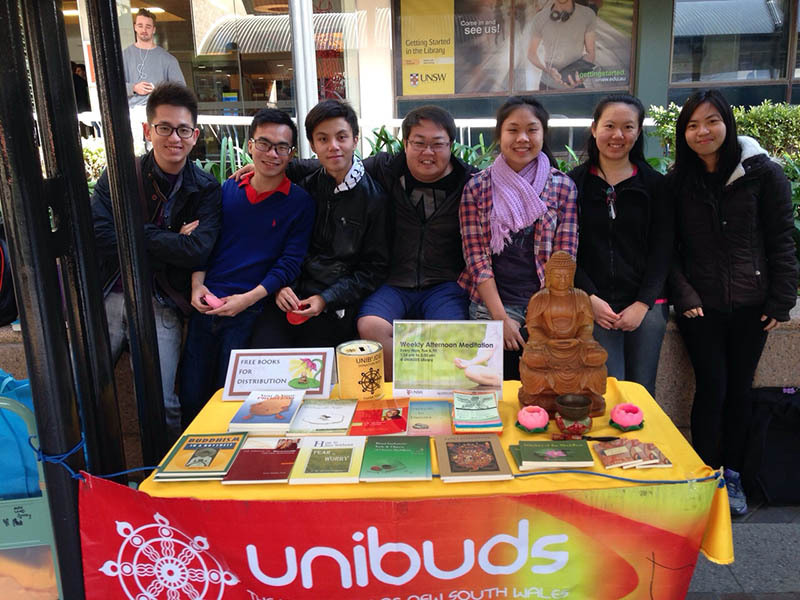 UNIBUDS is a society to join to learn more about Buddhism and practise it too! But that doesn't end there. 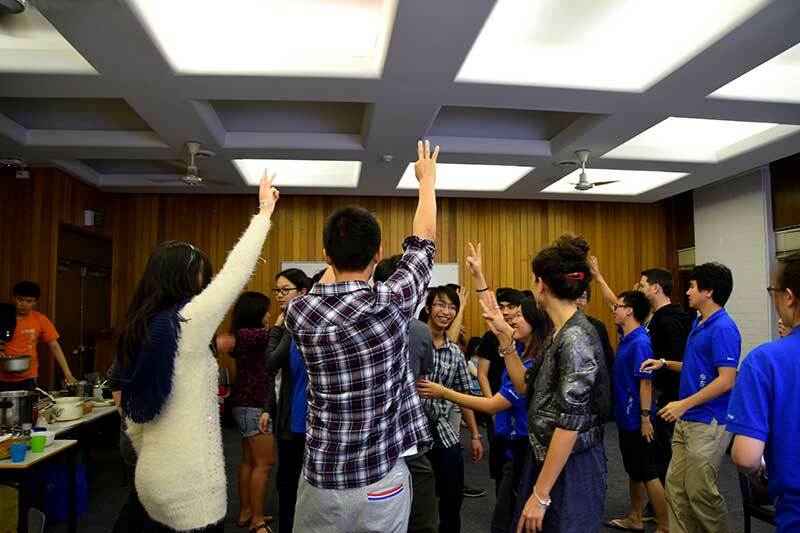 We organise lots of fun activities to get members to bond together while learning more about Buddhism. This includes Dhamma talks, meditation workshops to potlucks (free food) and a spectacular one-night-only performance show! So, don't miss out on your chance to become a part of our society today! If you were a member previously, our membership only last for one year so don't forget to renew your membership. But If you've already renewed your membership at the beginning of this year, your membership will still be valid. If you've already signed up, just pop by to have a friendly chat with us. How to sign up? Just come to our stand as per details below. Looking for something to help you de-stress after exams? We have the perfect solution. Join us in UNIBUDS' Winter Retreat from the 10th of July (Friday) to 12th of July (Sunday) 2015 at the Sunnataram Forest Monastery. 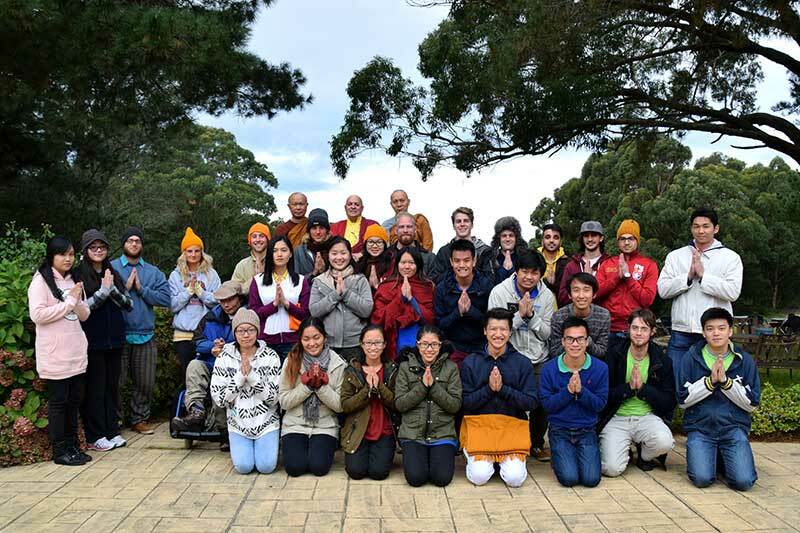 Come experience an unforgettable experience of a forest monastic life under the guidance of Phra Mana Viriyarampo, as we learn how to meditate, practice Tai Chi, listen to the Dhamma and get involved in all sorts of interesting activities such as bushwalking and making a bonfire. Not a student, UNIBUDS member or full-on Buddhist? Don't fret. This purpose of this retreat is to let you explore Buddhism. However, due to the limited spaces available, UNIBUDS members are prioritized and a first-come-first-serve basis applies. Register as soon as possible so you don't miss out on this once-in-a-lifetime opportunity! Food and accommodation is generously provided by the Monastery, donations to theMonastery are most welcome. The cost for a one way train ticket is approximately $10.40 (full) or $5.20 (concession). Opal Bus Ticket is accepted. Finally, here comes our next activity VIVID SYDNEY! Vivid Sydney is an annual light festival, where the city is "coloured" with creativity and inspiration. Since it's the final week of this semester, how else can you relax and chill out before preparing for final exam? So why wait? Come and join us for the festival of light, music and ideas. Hope to see you! Please register your name and contact number with the organiser by Friday 5th June, by message or E-mail. Thank you! Stresses, frustration, worries, and sleep deprivation builds up as the exam period draws near. Those things really aren't good for your physical and mental health. If you'd like to give your mind and body a little break, come along to the meditation workshop and let the rejuvenating joy and calmness from meditation wash away your exhaustion. Vesak Day commemorates the three most important events in the Buddha's life, namely birth, enlightenment (Nibbana) and final passing (Parinibbana). It is one of the most significant days in Buddhism and is celebrated across the world, which of course means that UNIBUDS will be celebrating this auspicious day as well. Come and join us in commemorating Vesak Day in Mahayana tradition this year. The session will consist of Mahayana chanting, short Dhamma talks by our patrons as well as Bathing of the Buddha session. After a week (and a few more days) of holiday, don't you think it is due time for another catching up with your fellow Unibuddies? And what's a better way to meet everyone than to come to our Potluck where food and smiles are aplenty! We would also like to take the opportunity to introduce you to Bodhi Nite during this coming potluck. You might not have heard of Bodhi Nite. Or if you know about it, you might think, 'Bodhi Nite is happening in late August, isn't this a little early in the year?' But we're just THAT excited for Bodhi Nite!!! 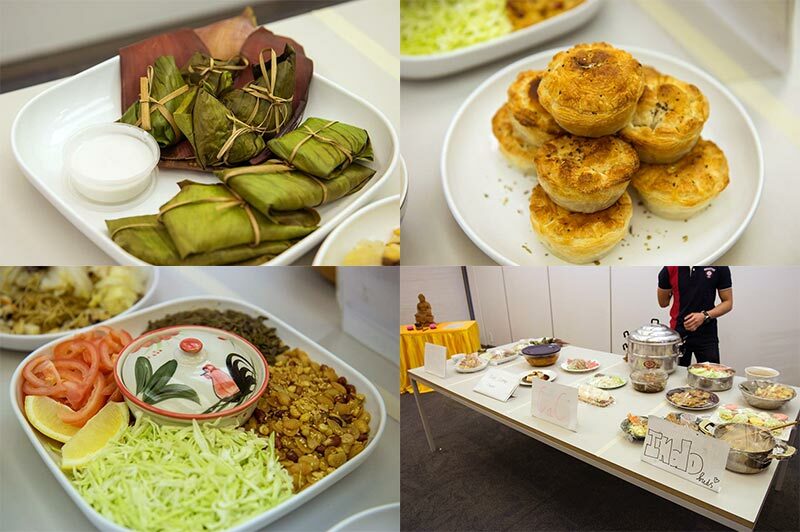 So come along to the potluck, bring a plate or an empty stomach for the usual reasons one comes to our potluck, and definitely come if you're also excited, interested or a little curious about Bodhi Nite! The one-week Easter break is finally here! Are you thinking about how to spend it wisely and meaningfully? Fear not, UNIBUDS is having our next activity, which is SONGKRAN! Remember to register before 10th April by contacting or emailing Pei En below. So, hope to see you for Songkran! What to bring: water bottle, spare clothes, towel, sunlotion, and sunglasses. 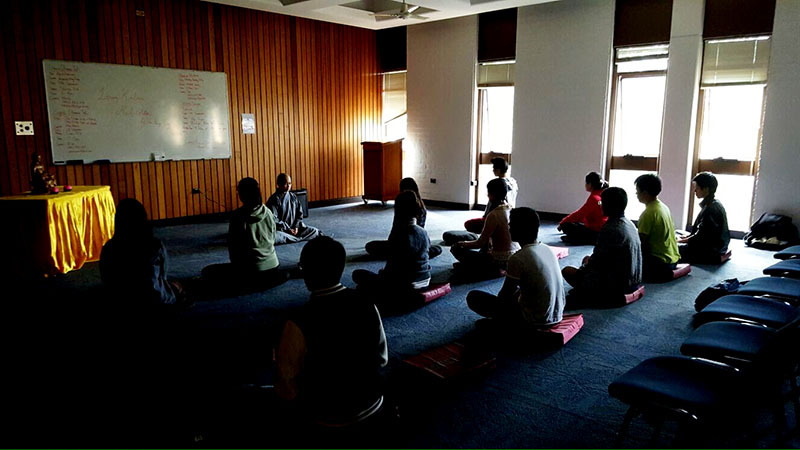 If you have not yet got plans for the Easter break, put UNIBUDS One Day Meditation Retreat down in your planners! 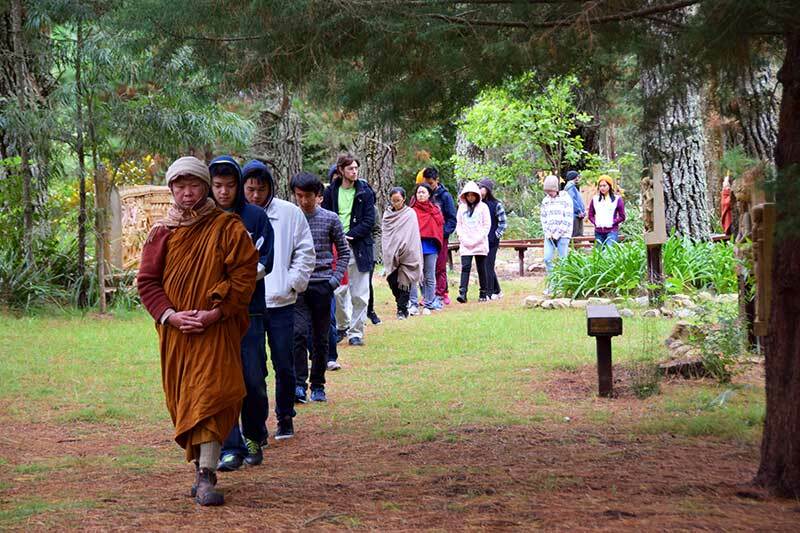 Come along to the retreat to break away from the bustling city of Sydney and spend a calm and mindful day learning from Phra Mana at the beautiful and peaceful Sunnataram Forest Monastery in Bundanoon. To those who are interested, please register with the form provided. Registration will be closed on Sunday 5th April. *For those who are driving to the destination, please contact the organisers to arrange carpool. Venerable Phra Mana Viriyarampo was born in the busy city of Bangkok, Thailand. He studied as a medical student for 3 years before undertaking his religious vows. He has undergone meditation practice and training with several great teachers in Thailand and abroad. Throughout his 14 years' experience as a monk, he has traveled to more than 30 countries teaching Buddhism and meditation, attending symposiums, conferences, religious events and many more. In the year 2000, for the first time in the history of the Olympic Games, Buddhism was represented by monks as volunteers for the Religious Centre in the Games Village. 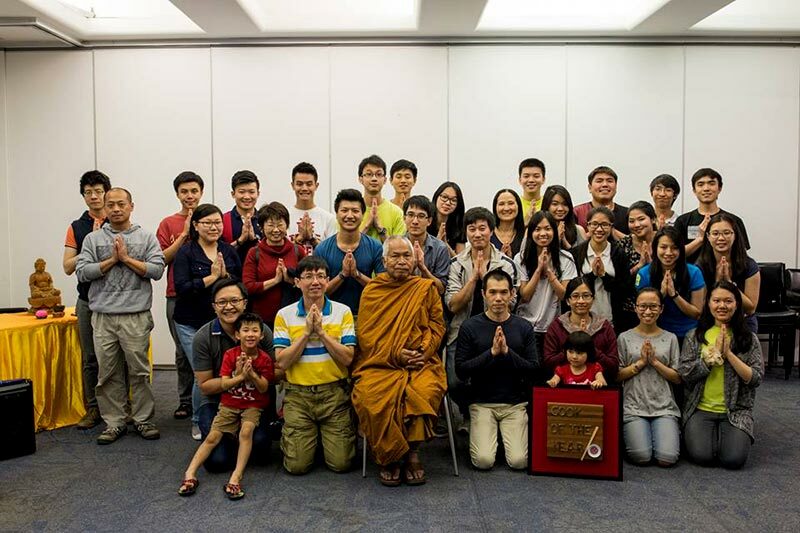 Venerable Phra Mana Viriyarampo was chosen as the Buddhist Chaplain together with other Buddhist monks from different traditions to teach meditation to the athletes and contingents of the Sydney 2000 Olympic and Paralympic Games. Today, he focuses his training in teaching meditation and cultivating a healthy diet with exercise and wholesome living through Sunnataram Forest Monastery as Abbot. 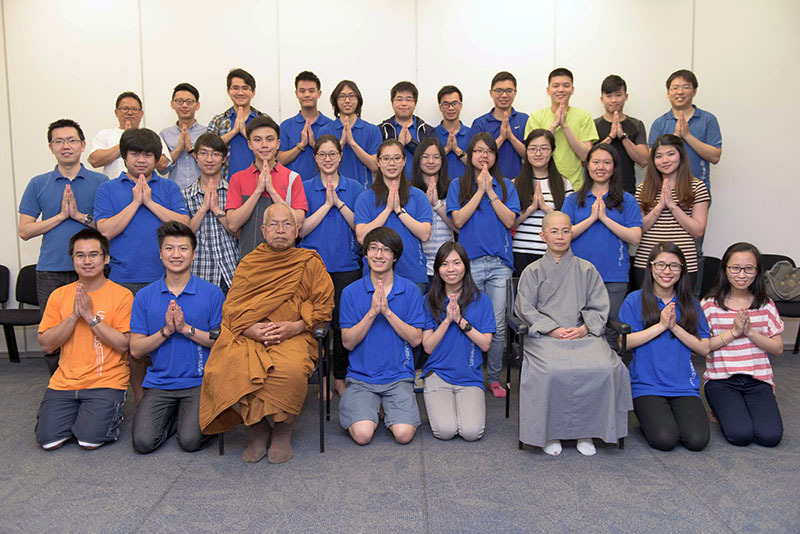 He continues to steer, guide and touch the lives of the Australian community through the Dhamma (teachings of the Buddha) and meditation to achieve happiness, calm and peace. He is a picture of health, an animator, a strong believer in the power of positive thought, a yoga & Tai Chi enthusiast and an inspiration both to the Sangha (monastic order of monks and nuns) and the lay community. The long-awaited Easter break is finally coming!! Is everybody starting to feel amazing?! So it's now the time for you to unleash your (awesomeness). UNIBUDS presents to you AMAZING RACE!! 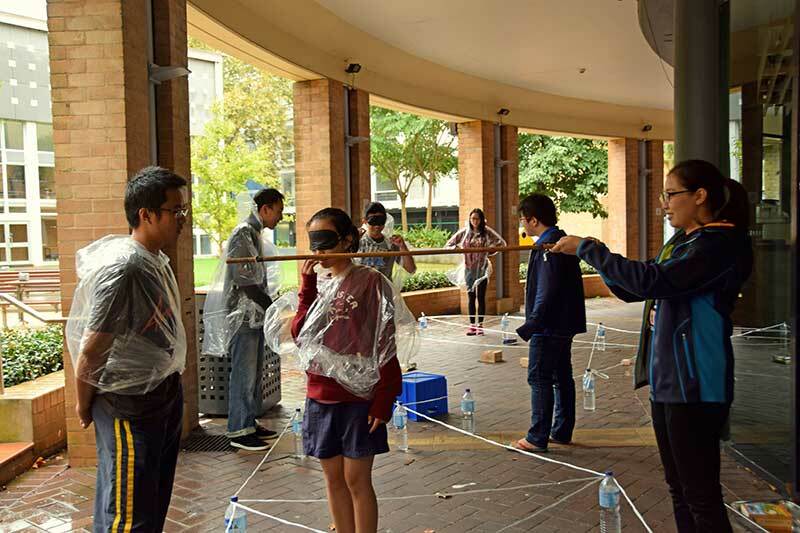 Amazing Race is a game played in teams, where you will challenge and (conquer) all the game stations with your team spirits! This is a great chance for you to learn the Dhamma in an interesting way, as well as to make new friends. Register with us now by filling in the attached form and emailing it back to our coordinators! Should you have any enquiries, please do not hesitate to contact our coordiantors! Have you ever wondered what is so good about meditation? Why do we keep hearing about it and getting encouraged to practice by our teachers, by our fellow Unibuddies, or even by the media? If you have, come along to our first meditation workshop of the year and learn from Rod Lee about different Buddhist meditation styles and experience for yourself the benefits of mindfulness and meditation. Please kindly RSVP. Cushions and seats are provided. How has your semester been so far? Exciting? Busy? Tiring? We really hope you enjoy it. It's still early and we have something to refresh you up to tackle the rest of the semester. What is this refreshing stuff? It's Potluck! Potluck will be filled with food, games, and opportunities in meeting new friends and of course heaps of fun! Feel free to bring a dish or drink to share with friends, or just come with a growling stomach and a wonderful smile! We'd love to see you there! *Please kindly RSVP by Thursday 19th March so that we can cater sufficient food for everyone. Hello Unibuddies! So what's next after that interesting O-Week? Well, of course it is the ever exciting O-Picnic! 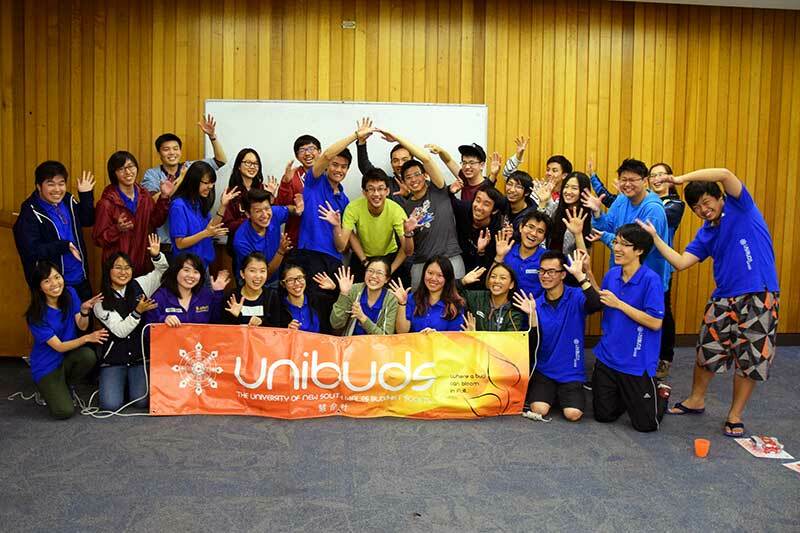 O-Picnic is UNIBUDS' very first meet-up event for the year 2015. It will be a great opportunity for the new Unibuddies out there to mingle around and make new friends whereas those who have been around with UNIBUDS for some time can take this opportunity to rekindle your relationship with other Unibuddies and meet new people too! As the name suggests, do expect a delicious BBQ meal and other delicious food in this event. Besides that, there will also be interesting games throughout the event to make sure that O-Picnic will be one fun-filled activity! So, what are you waiting for? Mark down the following details and come join us for O-Picnic! **Venue will be changed to "Squarehouse Balcony" in case of rainy weather. 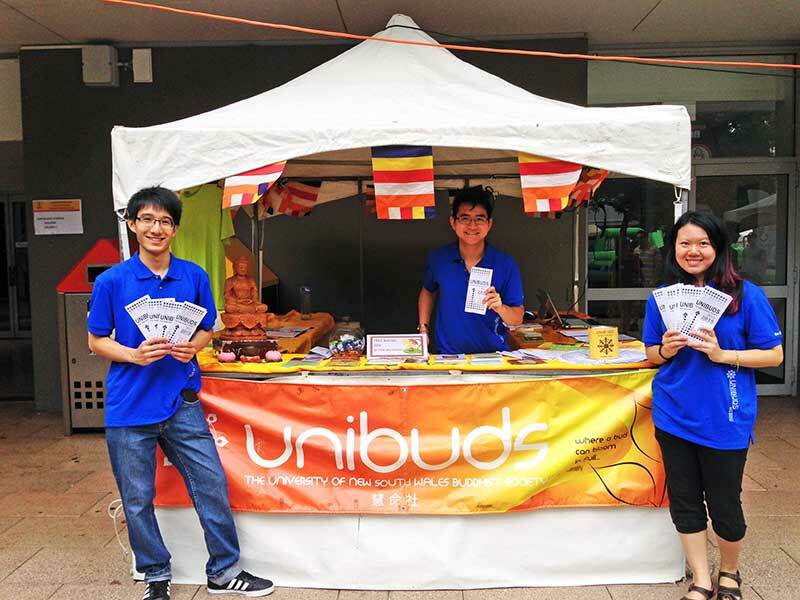 Our venue guiders will also be awaiting you at UNSW's Main Walkway for those who are not familiar with Coogee Beach. In order for us to better cater to everyone's needs, please register with the organisers your name, contact number, email address and whether you'll make your own way there or meet at Uni to get there. As food will be provided, all you need to bring is some sun screen, shades, sunglasses, some money for busfare and of course yourself! How to sign up? 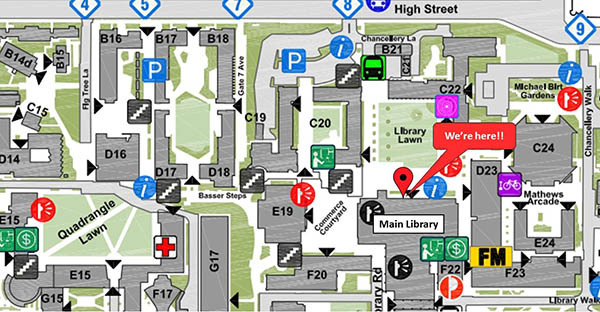 Visit our stall at the map below during O-Week or outside of Main Library during Week 1!